Former New York Mayor Michael Bloomberg can “absolutely” defeat President Donald Trump in the 2020 election, says major Democratic donor and Bloomberg confidante Steven Rattner. Bloomberg has not made up his mind about a presidential run, unsure of whether the Democratic Party will embrace a candidate with his centrist views and record, says Rattner, who runs the billionaire’s personal and philanthropic investments. Rattner says a presidential bid from Bloomberg, who ran New York City from 2002 to 2013, would not seek to mimic the leftward shift among some in the party. “What Mike [Bloomberg] is not going to do is quote ‘apologize’ in the sense of going back over his positions and the things he did as mayor and say, ‘OK, well, the democratic dogma now is against this, so I'm going to say I wish I hadn't done that,’” Rattner says. 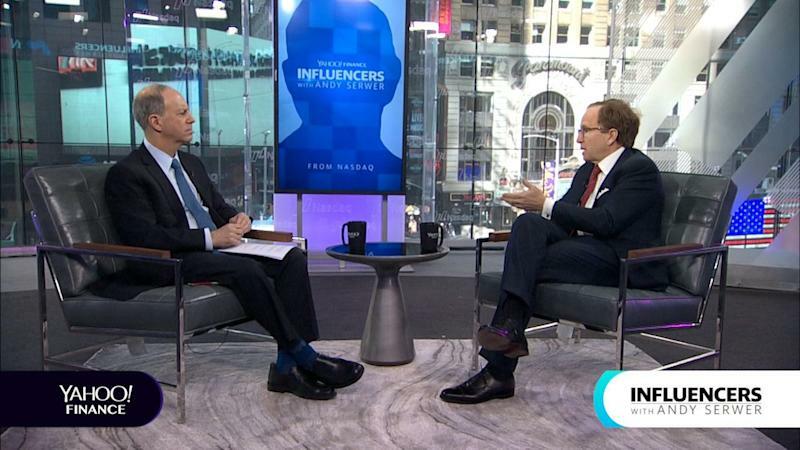 Rattner made the comments to Editor-in-chief Andy Serwer in a conversation that will air on Yahoo Finance in an episode of “ Influencers with Andy Serwer ,” a weekly interview series with leaders in business, politics, and entertainment. The remark about the likelihood that Bloomberg could defeat Trump came in a conversation with Serwer after the taping. Also in the episode, Rattner evaluated Trump’s record on the economy, gave a sunny outlook for the stock market, and criticized the tax hike proposed by New York Congresswoman Alexandria Ocasio-Cortez. Rattner began his career as a New York Times reporter covering Wall Street. Eventually he jumped into the fray himself, becoming an investment banker and a private equity player. When the Great Recession hit, he joined the Obama administration to lead the auto bailout. Now, he manages Michael Bloomberg’s wealth and gives economic analysis in the New York Times and on MSNBC. Rattner says his preferred potential Democratic presidential candidate is Bloomberg. Others on his list include former Vice President Joe Biden, Minnesota Senator Amy Klobuchar, Montana Governor Steve Bullock, and Colorado Senator Michael Bennet, he says. A self-described centrist, Rattner took aim at progressive Congresswoman Alexandria Ocasio-Cortez, who has called for a marginal tax rate of 70% for income above $10 million. “If you want to raise my taxes to 50%, I can probably still go to the office every day happily. But she wants 70%...at some point people say, I'm just not going to work,” Rattner says. Meanwhile, Rattner had a sunny outlook for the stock market, thanks to comments made by Federal Reserve Chairman Jerome Powell in January that suggest the Fed will slow or stop its interest rate hikes. “All of that is good for the stock market,” he says. Rattner was similarly optimistic about the health of major U.S. auto makers, though he acknowledged “ridesharing is the biggest question mark” facing the industry, an industry he helped rescue in 2009 as the head of the Obama Administration’s auto bailout. Rattner noted how much the auto industry has changed since the bailout, saying the word “rideshare” was not mentioned a single time during the restructuring.